During the post election protests in 2009, thousands of women and men were arrested in Iran. Many of them were raped, tortured and even killed. A number of victims came forward with their stories, Ayatollah Karroubi an oppositional leader of the reformist movement started an investigation on the rapes and killings and people increasingly spoke about the issue openly. Unlike other human rights violations by the Iranian regime, sexual violence has not been well documented. Justice for Iran will systematically collect and document sexual abuse cases, in order to contribute to the increased public debate and to investigate possibilities to hold the Iranian regime responsible for these violations via international political pressure and official accountability mechanisms. 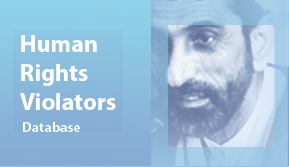 – Objective 1: Document sexual abuses that have occurred over the past thirty years of the Islamic Republic of Iran as severe human right violation. Activities: This includes the training of 24 volunteers who will be conducting the interviews with victims and their families in and outside Iran. Moreover, two bilingual reports (in English and Persian) of in total sixty cases will be published. – Objective 2: Increase public awareness and debate, nationally and internationally, regarding sexual torture in Iran. Activities: Justice for Iran will launch a website, which will include the sixty reports, movies, voice recordings of victims and their families and other documentation about sexual torture against women in Iran. Moreover, two international tours, a press conferences and a number of public events will be organised. Justice for Iran will lobby with the European Union, United Nations, political leaders and influential stakeholders to address the issue of sexual abuses in Iran. – Objective 3: Provide requirements to prosecute sexual torture’s perpetrators. 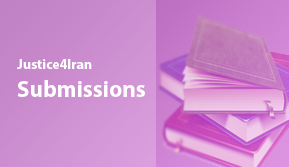 Activities: The development of a paper on possible strategy(ies) to prosecute legally or politically the criminals and the responsible officials, the launch of a team to take further steps to follow up the cases of sexual torture in Iran through international accountability mechanisms.